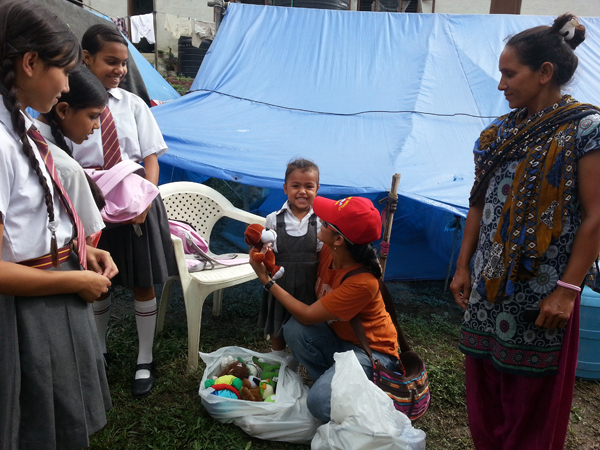 Today, Balkhu relief work – ArunasNepalRelief, Inc. 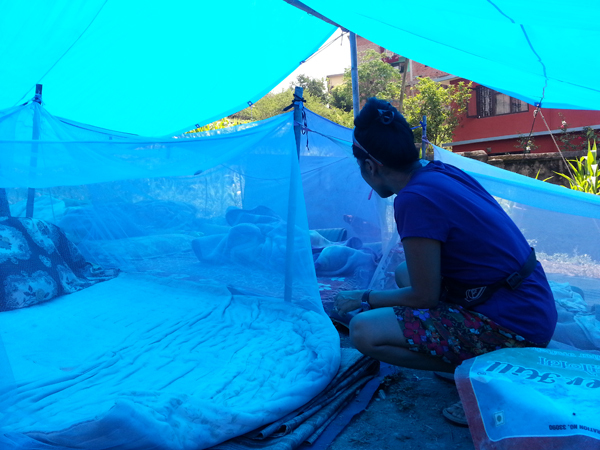 Went to Balkhu where 8 families were living outside in semi tarp shelters in a church yard, inside mosquito netted sleeping quarters. 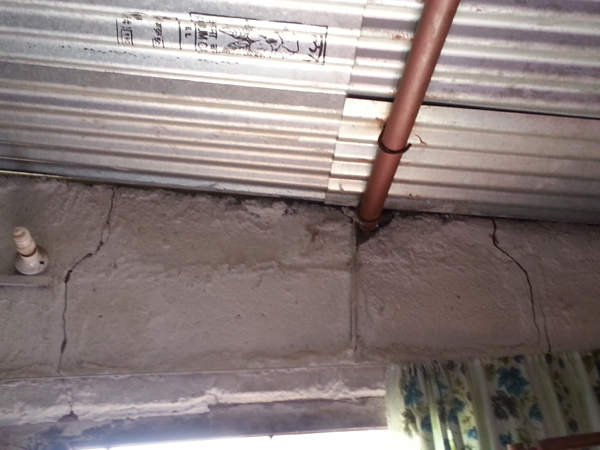 With the monsoon rain they have problems with leakage but they make do. Thank goodness for the church, these people have a place to call home, no matter what the conditions, they are happy to be alive! 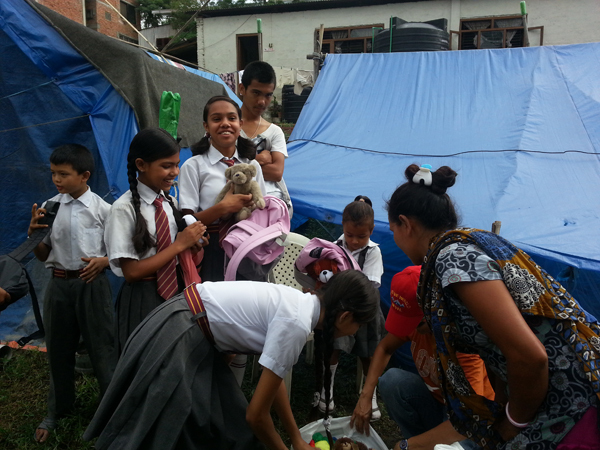 8 families living outdoors in Tripal (makeshift tarp) shelters. 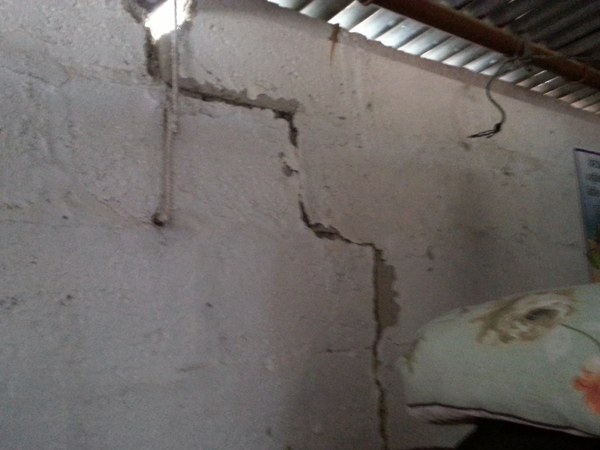 On the other side of the yard, the sister and family still living in the house that is cracked by the earthquake. When I asked why they still live and if the inspectors had come, they said no they have not but they take turns between families to sleep in or out because of the rain. 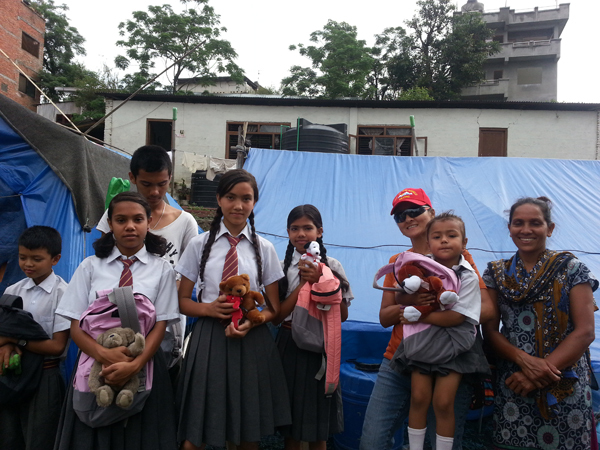 still living in earthquake ravaged homes to seek shelter from monsoon rain. They still dress their children proper for school and they smile as I get there just in time before they leave for school at 8:00am. Beautiful children, strong children living under conditions their families do their best to provide, yet they are always smiling and moving on!